Shinsaibashi is a shopping district with several pedestrian-only streets. 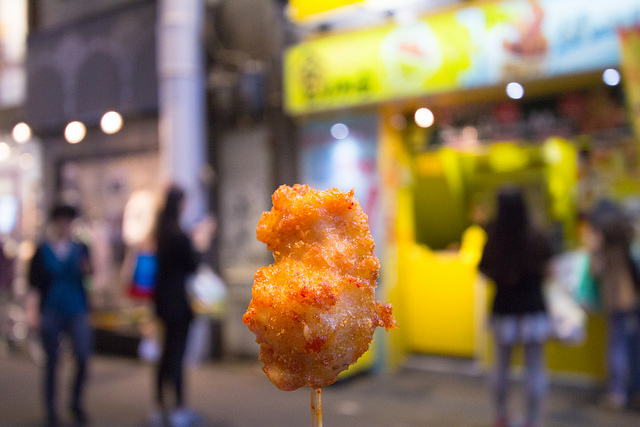 There are also food shops scattered throughout the area, selling various street foods, perfect for eating while walking around while shopping! 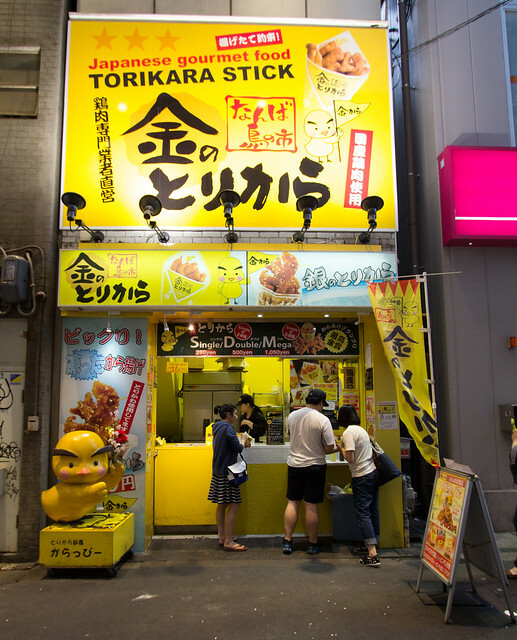 Kinnotorikara is a popular food stand known for their torikara stick, which is fried chicken breast eaten with a stick. 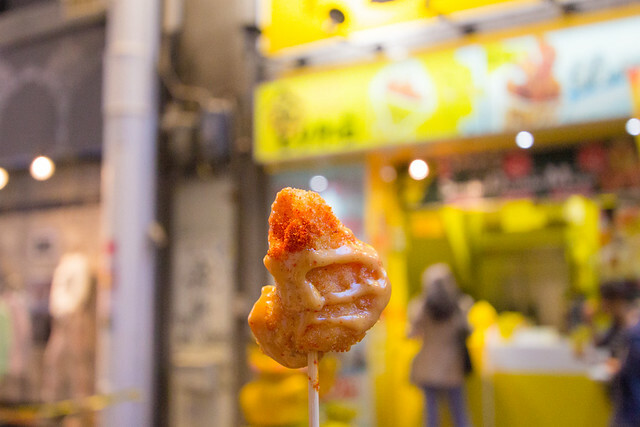 There are three size options (single, double, or mega for ¥260, ¥500, or ¥1,050), and various spice/flavor toppings depending on the location (original, sweet chili, mayonnaise, lemon, rock salt, honey mustard, etc.). We had the single size, original with a bit of honey mustard drizzle. Yummm!